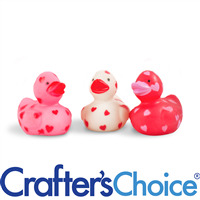 Autism Awareness Ducks are white ducks with the autism awareness symbol - a puzzle piece heart. 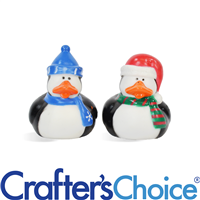 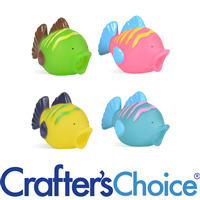 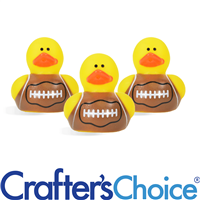 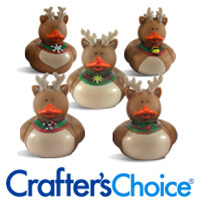 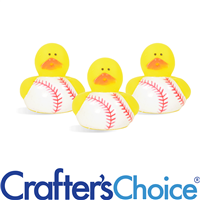 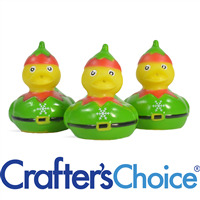 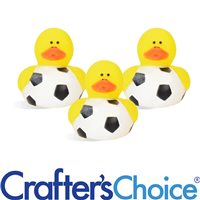 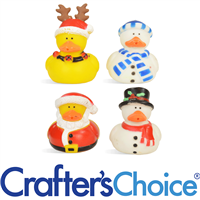 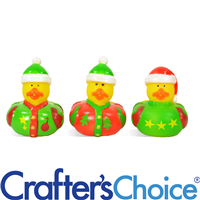 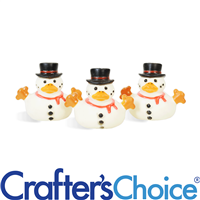 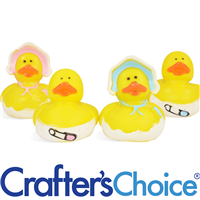 These adorable ducks are a great way to embellish soaps or and to packaging for a great cause! 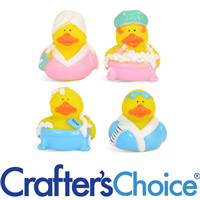 Dimensions: Approximately 2" x 2"
Rubber Ducks are great to embed into soaps, bath fizzies and other bath products! 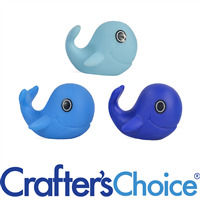 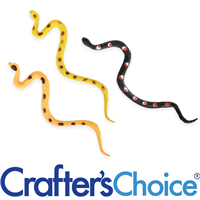 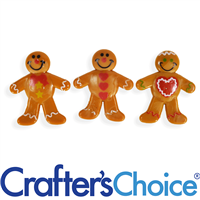 They add a unique, kid-friendly touch to you handmade creations! 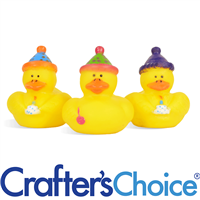 To create soaps with toy ducks on top, first fill mold with desired soap about ¾ of the way. 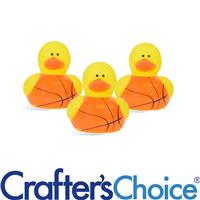 When that soap hardens, spritz with alcohol and pour the remaining soap to nearly fill the mold. 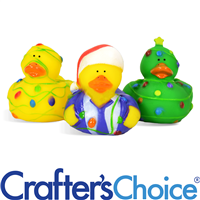 Quickly and gently place the duck in the center of the soap. 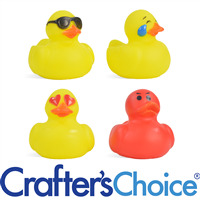 Do not spritz duck with alcohol. 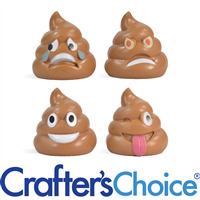 This product does not need to be listed on the product ingredient label. 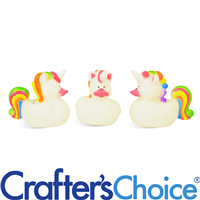 COMMENTS: I use these little guys as toppers to my soap cupcakes, and couldn't be happier. 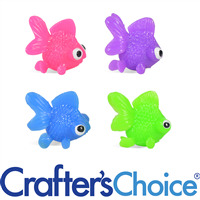 They are a great size, and I love the autism puzzle pieces on them. 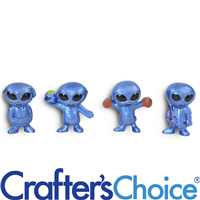 I'll definitely be buying again!